Sustainable solutions that deliver more energy-efficient results. Conserving energy and preserving the environment is more crucial that ever before. It’s imperative that industries worldwide work together to implement an energy saving strategy throughout their organizations. Often, buildings are equipped with traditional power distribution systems that don’t offer modern energy-saving technology. Not only can these older systems be upgraded with more advanced technology, but new buildings can incorporate energy-efficient solutions from the beginning. 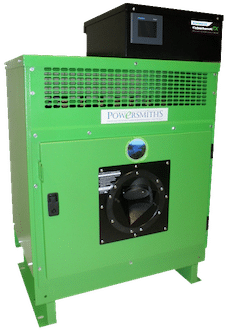 Powersmiths line-up of energy-efficient, low-voltage transformers offers high quality power distribution, more energy savings, and enhanced safety features. Powersmiths also offers end-to-end building resource management solutions that can help organizations better manage building systems and resources, improve accessibility to building data, build customized building performance reports, and even educate various stakeholders about sustainability initiatives. Powersmiths can easily adapt by providing application-based solutions, flexible product configurations, and friendly professional support services. From design and commissioning, to education goals and building data reports, our experts can provide your organization with the right solution. Did you know that buildings consume more than 1/3 of the nation’s energy and water resources? Reducing the environmental footprint of buildings worldwide can help us reach sustainability and climate goals, ultimately working towards a brighter future. Leadership in Energy and Environmental Design, or LEED®, is a building rating system that works to provide a framework and guidance for a more sustainable design. Not only can it help improve the design of a building, but you can also learn how to alter construction and maintenance practices to be more energy-efficient, too. The Collaborative for High Performance Schools, or CHPS®, has designed a new framework that helps guide school boards to plan and build better schools. These plans can help reduce negative environmental impacts, while maximizing student performance. 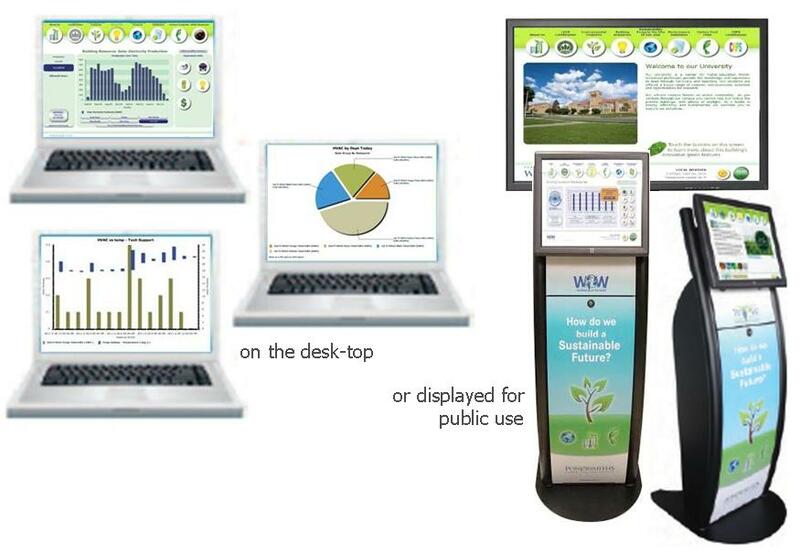 By implementing Powersmiths solutions within schools across the nation, CHPS can earn points for energy efficiency, effective metering and sub-metering, energy management, and using the school as a teaching tool. To learn more about how our products can help you earn points for your CHPS school project, download the Powersmiths Contributions Towards CHPS Criteria. 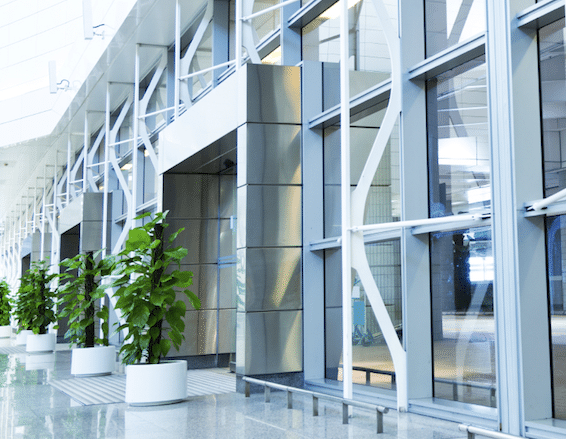 Investing in high-quality power distribution systems for your organization’s buildings can save millions in lifecycle costs. Sure, the initial cost of some systems thatoffer more traditional technology may seem like a good idea but, when the millions of wasted dollars over a lifetime of use are factored in, organizations might think twice about that decision. 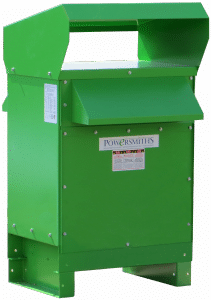 Powersmiths energy-efficient, low-voltage, dry-type transformers can reduce 25-50% more energy waste than DOE 2016 minimum standard transformers, in newly constructed buildings. The savings potential over the full 32-year standard product warranty lifecycle delivers high value, an attractive return on investment, and helps to preserve our natural environment by preventing unnecessary resource use and energy waste. The Powersmiths E-Saver OPAL™ energy-saving transformers have considerably less energy waste than many older models and even current legislated standard transformers on the market. Saving energy can result in less kilowatt-hours (kWh) consumed and lower energy demand, resulting in lower utility bills for years to come. These savings alone could pay for the transformer repeatedly for well over 32 years. Contact Powersmiths to learn more about how you can upgrade your power distribution system, or just start with requesting an Energy Savings Payback™ (ESP) estimate today! New construction applications can utilize the solutions offered at Powersmiths to create more sustainable buildings. The proprietary OPAL™ design and engineering best practice ensures our products and solutions offer an exceptional lifecycle value that can help organizations reduce electricity waste, lower costs and reduce safety risks for years to come. Older power systems and transformers don’t offer the energy-efficient technology that our modern products do. When new buildings are equipped with innovative OPAL™ transformers instead of DOE 2016 minimum standard transformers, 25-50% of unnecessary transformer electricity waste can be saved. Up to 80% of transformer losses can be saved when replacing pre2007/TP1 transformers. OPAL™ is the engineering and design basis of all our power transformers, resulting in a product performance that is of higher quality and efficiency than the legislated DOE 2016 minimum standard. This best practice also considers design elements that might affect faults, arc flash levels, and inrush currents – ultimately benefiting your electrical system long-term. Our customers can feel confident investing in a high-quality transformer with the least amount of energy waste, and allocating those dollars elsewhere. Accurate data is crucial for effective energy management. Powersmiths’ solutions allow organizations to track, record, and learn from real-time energy and resource usage, which can help save with identifying long-term cost savings. Cyberhawk™ meters provide cutting-edge monitoring for power quality, consumption, and have sensors and inputs to meter other resources like temperature, water, gas, solar energy production, steam power and more. Cyberhawk™ meters also use the power of the cloud to connect many building system devices and sensors, to gain a full internal view of your buildings’ performance. 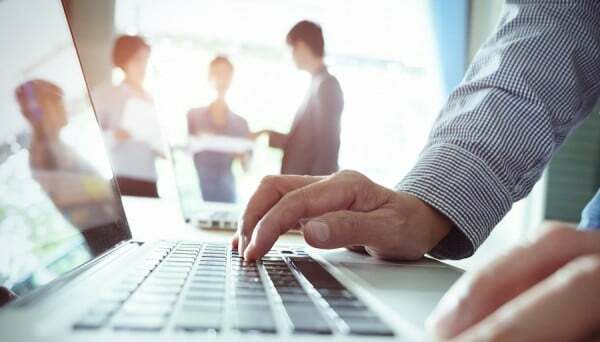 Built-in web servers and custom energy management software allow users to access current metered data reports anywhere they have online access. Depending on current building resources and subsystem metering requirements, there are a number of models available for different applications. 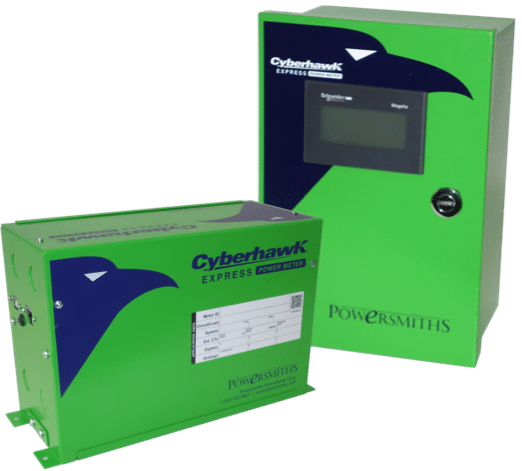 In addition to the Cyberhawk submeters mentioned above, the Cyberhawk TX™ and SMART™ series meters are designed specifically for integration into or externally onto any Powersmiths transformer or PDU. These meters can facilitate readily-accessible energy monitoring at the transformer-level, enabling users the ability to access information regarding energy and power data at the source of power distribution. 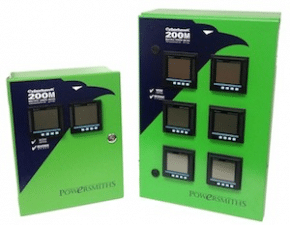 With Powersmiths innovative meters, this can all be completed without having to open the transformer enclosure or expose maintenance personnel to potential harm. Powersmiths meters can easily be monitored online, using a BMS or Powersmiths WOW™ (Building Resource Data Collection and Management System), where users can connect with existing building energy management systems, sub system sensors and meters through a browser-based interface. To learn more about our integrated meters, contact us today. The future of energy conservation depends on education. The more we educate ourselves about energy-efficient techniques and the effect they can have on the world around us, the better chance we have to make a difference. Implementing an energy-efficient power system can help to conserve energy, save costs, and ultimately reduce the amount of wasted energy.